The MUMPS Solver is now a reference in the field of sparse linear algebra solvers. Known for its wealth of features, its robustness and the scope of the code (general symmetric or unsymmetric matrices, sequential or parallel architectures), the number of users has been growing a lot over the last decade. MUMPS is also included in many open-source or commercial codes. The work around nine doctoral theses has been incorporated in MUMPS software since 1996. 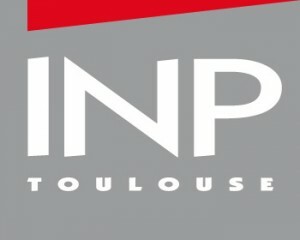 The MUMPS software management relies on a Joint Ownership Agreement between CERFACS, CNRS, ENS de Lyon, INP TOULOUSE (INPT), Inria and University of Bordeaux, which defines the rights and obligations of each party with regard to said software and in which they acknowledge their intent to ensure that the MUMPS software is distributed in “open source”. The Joint Ownership Agreement is managed by INPT. The purpose of the MUMPS Consortium is to bring together interested companies, research centres and teaching institutions to provide their support to the solver development team in the design and development of the solver. As a highly motivated group of users, the Consortium provides a platform for its Members to identify their common needs, share experiences and work together to propose a particular joint interest development. The key factors behind the sustainability of any software application are the software development work, the transfer of the research work into the “tool”, as well as support to the users. The Consortium will partially address the issue of sustainability of the solver by pooling the financial efforts of the users who believe that it is important to support the project, in addition to the substantial financial efforts of research institutions who contribute to the MUMPS software. In exchange of their support, Members of the consortium also receive a number of services. The institutions who have set up the MUMPS software Consortium are CERFACS, ENS de Lyon, INPT, Inria, Université de Bordeaux. The Founding Members have appointed Inria as the MANAGER of the Consortium.